China has no wish to be the United States' enemy and it would be unwise and wrong for the U.S. to antagonize a country that shares extensive common interests, a Chinese media expert said at an international symposium commemorating the 40th anniversary of the normalization of Sino-U.S. diplomatic ties at the Carter Center in Atlanta, the United States, on Jan. 18. 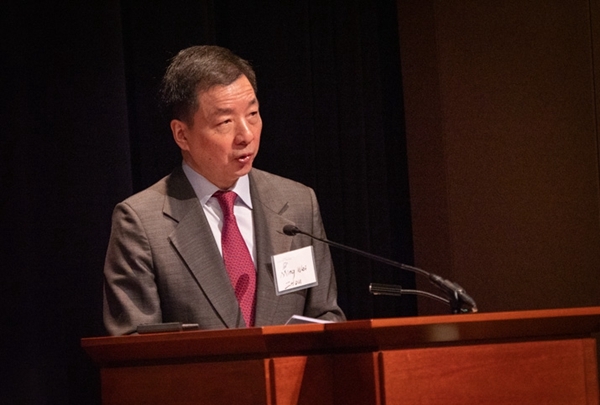 Zhou Mingwei, former president of the Beijing-based China International Publishing Group (CIPG), the largest foreign language publishing house in China, said despite disagreement and problems, the world's two largest economies should recognize the importance of a coordinated, cooperative and stable bilateral relationship to both and the world. The two countries should observe their relationship in the context of an era with "profound and unprecedented changes" and with a sense of historical responsibilities.